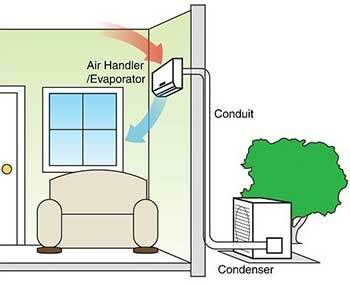 Every home is different, and there are many factors that determine which air conditioner is best for you. To get an air conditioning system tailor made for your individual needs, contact our office to have one of our one of our experienced staff help with preparing free designs and advise. -Prices can range from $6000 to $25000. -Your average four bedroom low set homes can range from $7900 to $16000. -The cost of multi split systems are usually more expensive than using multiple individual split systems, but have the advantage of using one outdoor unit which can operate as many indoor units as required. -Multi splits require quoting on an individual bases. Plinth for outdoor unit to sit on. Alternatively, one of our technicians can visit you on-site to get an accurate picture of your requirements. Supply and installed prices including electrical circuit. Measure the floor area of the room you require air conditioned in square metres.